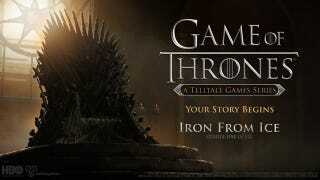 Walking Dead dev Telltale&#39;s first Game of Thrones game is coming &quot;soon. Walking Dead dev Telltale's first Game of Thrones game is coming "soon." The six episode series will focus on five characters from House Forrester, a family loyal to the Starks (aka Sean Bean and his extremely unlucky spawn) and will take you to places like King's Landing and The Wall.